The PBencoder tool obfuscates strings for using them with the own decoding function in REALbasic projects. Start the PBencoder.exe executable with a doubleclick. Enter some text and press the button Encode Input to encode it. Copy the function call and insert it into your project. 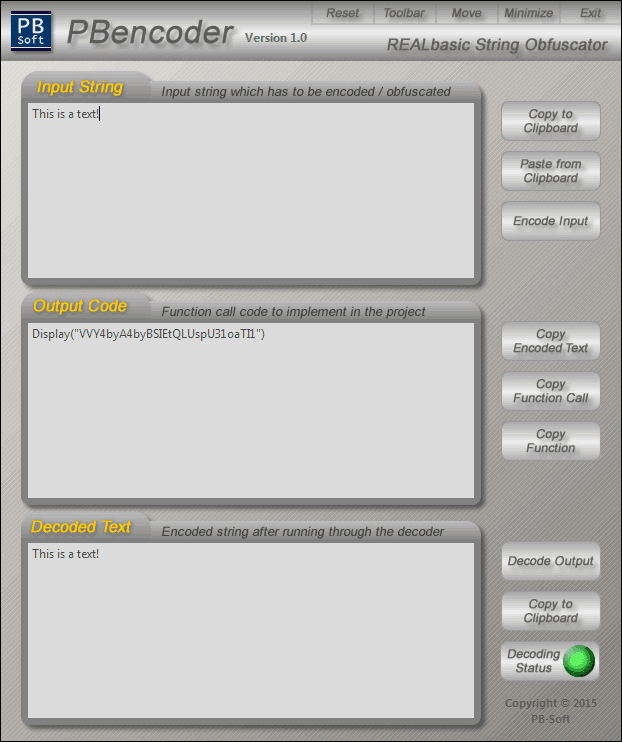 Insert the decoding function into your project. Please also check the user manual! The PBencoder tool is licensed under the MIT License (Expat) which is published on the official site of the Open Source Initiative.